Technology has become a part of life, it is envisioned as an ambitious umbrella to bridge education among the unreachable children living in remote areas. Technology has benefitted in every aspect of our life from social communication to education. It has transformed education methodology from traditional to virtual/smart education. In ancient times education used to be provided in gurukul, under the tree with a single guru who use to teach his/her shishya (student) all the aspects of life. But now with the improvement in technology and progress in life, this system is replaced by modernized culture i.e classroom based education. Nowadays the teaching method has been improved due to advanced science/technology and we are the witness of versatile gift “Smart classroom” and “Smart Software” for schools and students. These smart software have completely revitalized the education system. 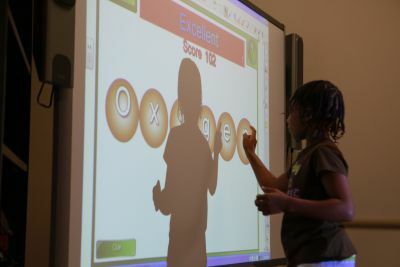 This system is developed with an eye to the student’s requirement and providing innovative learning methods using digital instruction material, with the help of projectors, white boards, online apps, smartphone usability. These software also plays a beneficiary role in school management by providing automated software to manage database which ultimately provide time to focus more on providing better education to a student rather managing a school. These smart software are an initiative to transform the approach and methodology that education system uses. Classes used to be under the tree or in poor infrastructured school Smart classe in school means class providing education through digital methods like projectors, white boards, educating students through visual effects.